So if you follow my blog, you'll see that I recently made a card very similar to this using my new Koi watercolor set! 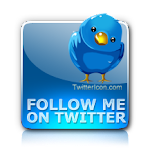 If you want to see that card, please click here! There are so many background techniques I'm seeing these days and many of them include water coloring of some sort. After making my card using my water color set, I wanted to make another one using distress inks with water. When I tried this technique, the background came out just as pretty with a little bit of a different look! 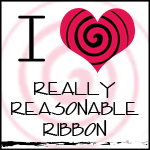 I absolutely love it and it was so much fun to create! 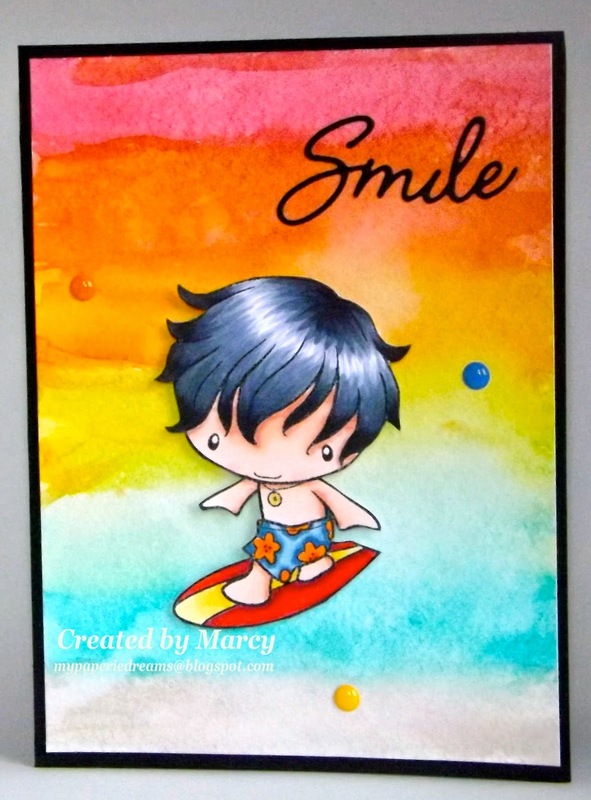 The image I used is the adorable Surfer Ian from The Greeting Farm. The background looks so much like a sunset at the beach so I thought he would be perfect on this card! :) I colored cute Ian with my Copic Markers. For the background, I used a variety of Tim Holtz distress inks and added some water to let the colors blend together. I then went over it with a paint brush to blend even more. I wanted to focus on the background and image so I kept the card pretty simple by just adding some random enamel dots. 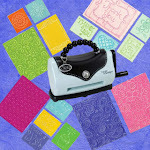 The sentiment "Smile" comes from the TGF Delicates Word Die Set. 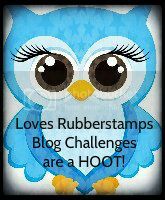 Be sure to stop by the Loves Rubberstamps store to see the items used on my card as well as all the beautiful distress inks available. 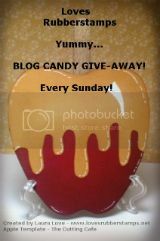 Dont' forget to come back tomorrow to check out the "Sensational Sunday" blog hop which starts right here!